Engineer boots are a very popular choice for fall boots. They are lace-less, with a rugged construction. 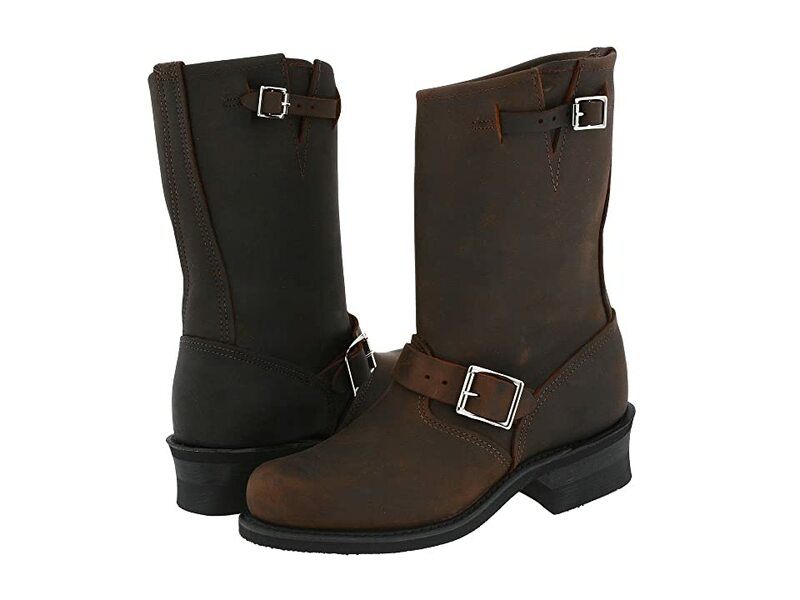 Engineer boots are very popular among motorcycle riders. Some call them engineer boots while other name them moto boots. No matter what name you will choose for them, they make a perfect choice for fall weather. These boots from Lane Bryant are true wide calf and wide width. They are mad eof faux leather moto with a mix of textures (matte and brushed). Ankle straps and decorative zipper detail. Side-zip closure. Natalie Short Engineer by Frye is not a wide width boot. Though being a short bootie, it can work well with ample calves. It is an expensive boot. If you can afford it, consider it an investment in your wardrobe because it will last for years, if you properly take care of it. This boot is a head- turner. You will get noticed with these booties by Torrid. They cry out attitude. Of course, don’t expect them to last for years, but they are wide width, so you don’t have to size up. Natural Soul Bembe by Naturalizer comes in black and brown, medium and wide widths. It is the right amount of chic and toughness. The bootie has a decorative buckle strap freshens a versatile bootie lifted by a slight heel. Rugged yet refined.